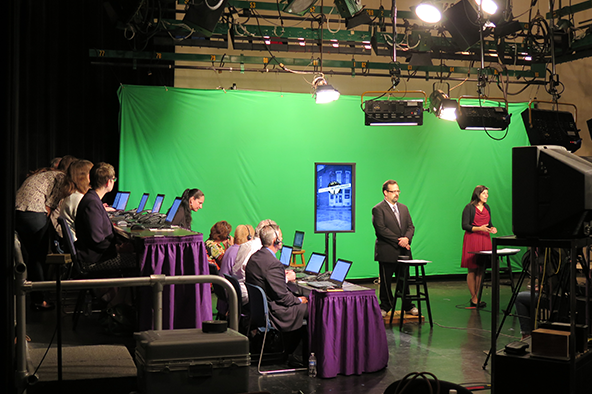 With facilities at Fawcett Center, WOSU Productions offers full set capabilities, and the latest in production equipment and services. The Fawcett Center facilities of WOSU Public Media include two studios on the campus of The Ohio State University. These studios can be a cost-effective production center to accommodate SD or analog broadcasts or High Definition with robotic cameras.